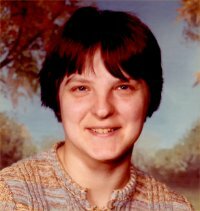 Mary Catherine Strange, 64, of Belleville, Illinois, born Tuesday, May 4, 1954, in East Saint Louis, IL, passed away Thursday, April 4, 2019 at St. Elizabeth’s Hospital in O Fallon, Illinois. Memorials: Memorials may be made to HSHS Hospice Southern Illinois, 701 West Temple Avenue, Effingham, IL. Funeral: Graveside Service were held on Tuesday April 9, 2019 at Greenmount Catholic Cemetery.